… or “what I’ve been working on for the past three months”. So this summer I have participated in a programming internship at Audiovisual Technology Center – CeTA in Wrocław. CeTA is developing a number of very exciting projects, and the one I had the pleasure to work on is AlgAudio. AlgAudio is a new signal processing framework that we’ve been developing from scratch. 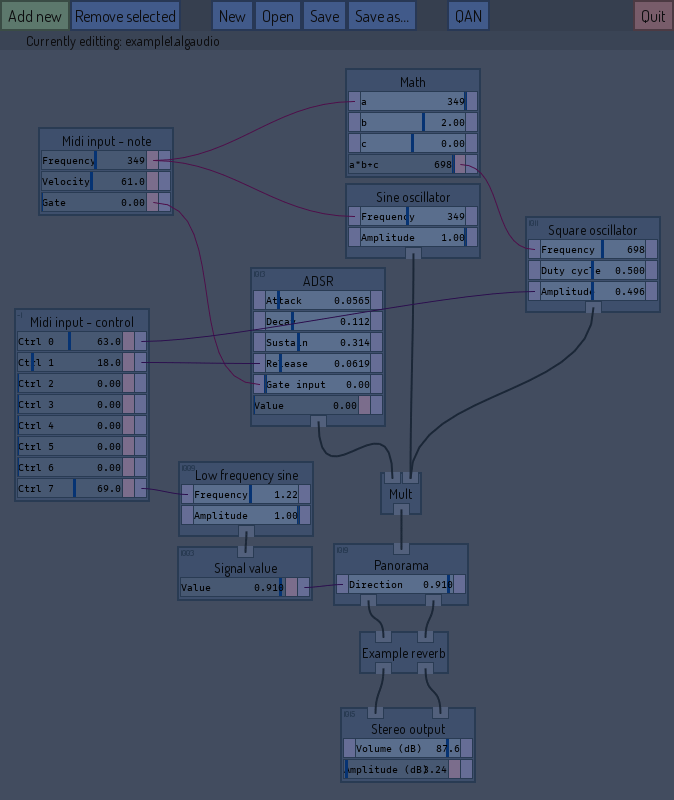 The user builds an audio processing network by placing “building blocks” of simple operations, connecting them together, configuring their parameters, and defining how the parameters should influence each other. The network works in real time, so any changes to the parameters are immediately reflected in the outputted audio. This makes AlgAudio a perfect tool for live performances. Recently I have noticed an unobvious problem that may appear when using std::threads as class fields. I believe it is more than likely to meet if one is not careful enough when implementing C++ classes, due to it’s tricky nature. Also, its solution provides an elegant example of what has to be considered when working with threads in object-oriented C++, therefore I decided to share it. I will present the obvious implementation, explain the problem with it, and describe how to deal with it. Didn’t I mention for the last 2 months I have been working on a synthesizer application? 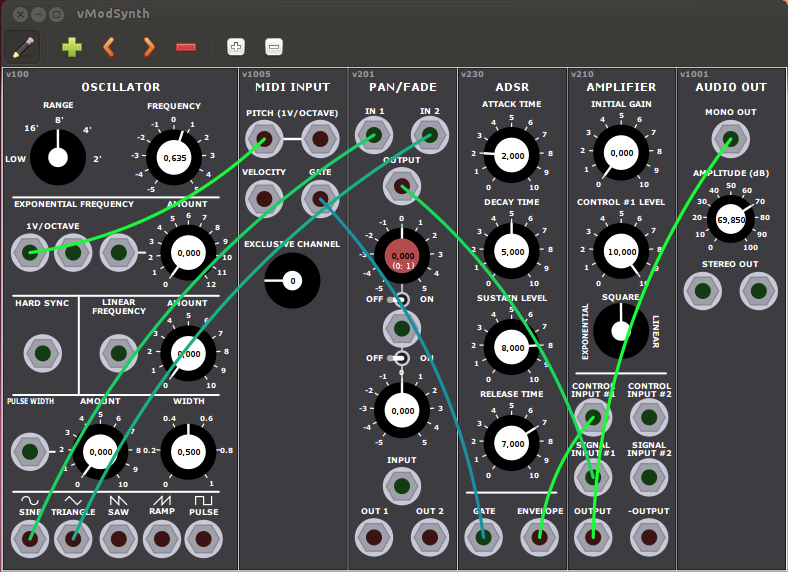 I am pleased to announce that vModSynth 1.0 is now publicly released and available to download.